Jammu and Kashmir is a state in northern India, often denoted by the acronym J&K. It is located mostly in the Himalayan mountains, and shares borders with the states of Himachal Pradesh and Punjab to the south. Jammu and Kashmir has an international border with China in the north and east, and the Line of Control separates it from the Pakistani-administered territories of Azad Kashmir and Gilgit-Baltistan in the west and northwest respectively. The state has special autonomy under Article 370 of the Constitution of India. Jammu and Kashmir is home to several valleys such as the Kashmir Valley, Tawi Valley, Chenab Valley, Poonch Valley, Sind Valley and Lidder Valley. 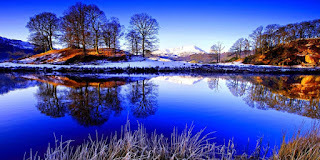 The main Kashmir Valley is 100 km (62 mi) wide and 15,520.3 km2 (5,992.4 sq mi) in area. The Himalayas divide the Kashmir valley from Ladakh while the Pir Panjal range, which encloses the valley from the west and the south, separates it from the Great Plains of northern India. Along the northeastern flank of the Valley runs the main range of the Himalayas. This densely settled and beautiful valley has an average height of 1,850 metres (6,070 ft) above sea-level but the surrounding Pir Panjal range has an average elevation of 5,000 metres (16,000 ft). Because of Jammu and Kashmir's wide range of elevations, its biogeography is diverse. Northwestern thorn scrub forests and Himalayan subtropical pine forests are found in the low elevations of the far southwest. These give way to a broad band of western Himalayan broadleaf forests running from northwest-southeast across the Kashmir Valley. Rising into the mountains, the broadleaf forests grade into western Himalayan subalpine conifer forests. Above the tree line are found northwestern Himalayan alpine shrub and meadows. Much of the northeast of the state is covered by the Karakoram-West Tibetan Plateau alpine steppe. Around the highest elevations, there is no vegetation, simply rock and ice. Ladakh is famous for its unique Indo-Tibetan culture. Chanting in Sanskrit and Tibetan language forms an integral part of Ladakh's Buddhist lifestyle. Annual masked dance festivals, weaving and archery are an important part of traditional life in Ladakh. Ladakhi food has much in common with Tibetan food, the most prominent foods being thukpa, noodle soup; and tsampa, known in Ladakhi as Ngampe, roasted barley flour. Typical garb includes gonchas of velvet, elaborately embroidered waistcoats and boots, and gonads or hats. People adorned with gold and silver ornaments and turquoise headgears throng the streets during Ladakhi festivals. Shikaras are a common feature in lakes and rivers across the Kashmir valley. The Dumhal is a famous dance in the Kashmir Valley, performed by men of the Wattal region. The women perform the Rouff, another traditional folk dance. 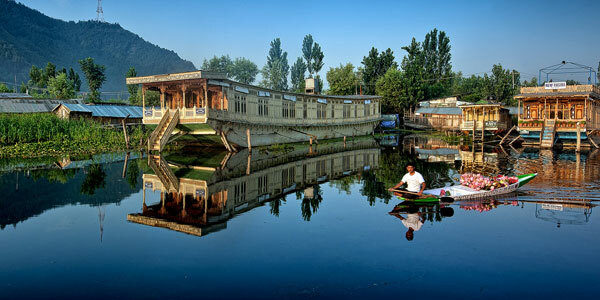 Kashmir has been noted for its fine arts for centuries, including poetry and handicrafts. Shikaras, traditional small wooden boats, and houseboats are a common feature in lakes and rivers across the Valley. The Constitution of India does not allow people from regions other than Jammu and Kashmir to purchase land in the state. As a consequence, houseboats became popular among those who were unable to purchase land in the Valley and has now become an integral part of the Kashmiri lifestyle. Kawa, traditional green tea with spices and almond, is consumed all through the day in the chilly winter climate of Kashmir. Most of the buildings in the Valley and Ladakh are made from softwood and are influenced by Indian, Tibetan, and Islamic architecture. 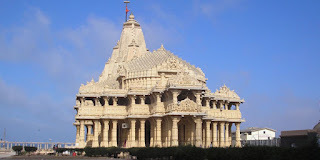 Gujarat is a state in Western India, sometimes referred to as the "Jewel of Western India". It has an area of 196,024 km2 (75,685 sq mi) with a coastline of 1,600 km (990 mi), most of which lies on the Kathiawar peninsula, and a population in excess of 60 million. The state is bordered by Rajasthan to the north, Maharashtra to the south, Madhya Pradesh to the east, and the Arabian Sea and the Pakistani province of Sindh to the west. Its capital city is Gandhinagar, while its largest city is Ahmedabad. Gujarat is home to the Gujarati-speaking people of India. The state encompasses some sites of the ancient Indus Valley Civilization, such as Lothal and Dholavira. Lothal is believed to be one of the world's first seaports. Gujarat's coastal cities, chiefly Bharuch and Khambhat, served as ports and trading centres in the Maurya and Gupta empires, and during the succession of royal Saka dynasties from the Western Satraps era. 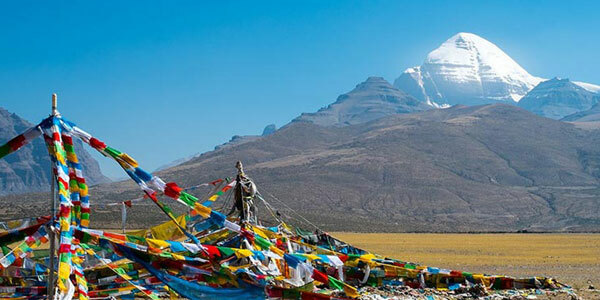 Mount Kailash is a peak in the Kailash Range (Gangdisê Mountains), which forms part of the Transhimalaya in Tibet Autonomous Region, China. 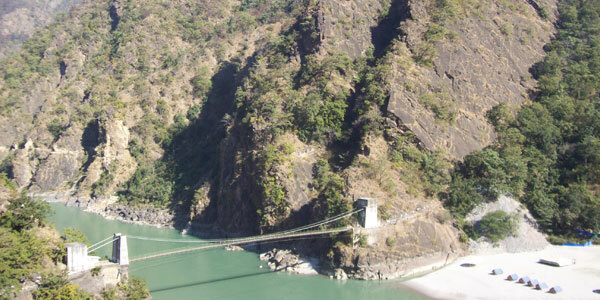 It lies near the source of some of the longest rivers in Asia: the Indus River, the Sutlej River (a major tributary of the Indus River), the Brahmaputra River, and the Karnali River (a tributary of the River Ganga). 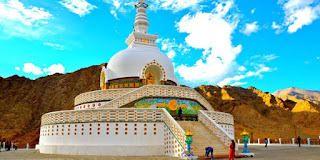 It is considered a sacred place in four religions: Bön, Buddhism, Hinduism and Jainism. 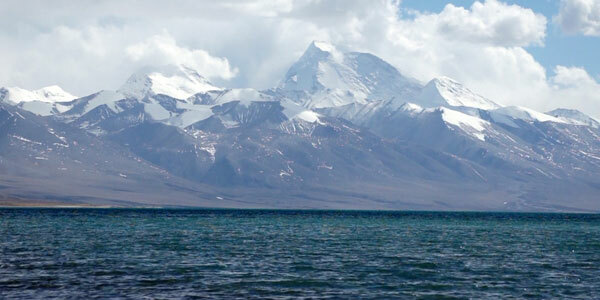 The mountain lies near Lake Manasarovar and Lake Rakshastal in Tibet Autonomous Region, China. Following the political and border disturbances across the Chinese-Indian boundary, pilgrimage to the legendary abode of Lord Shiva was stopped from 1954 to 1978. Thereafter, a limited number of Indian pilgrims have been allowed to visit the place, under the supervision of the Chinese and Indian governments either by a lengthy and hazardous trek over the Himalayan terrain, travel by land from Kathmandu or from Lhasa where flights from Kathmandu are available to Lhasa and thereafter travel over the great Tibetan plateau by car. 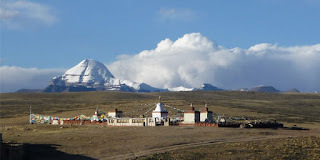 The journey takes four night stops, finally arriving at Darchen at elevation of 4,600 m (15,100 ft), small outpost that swells with pilgrims at certain times of year. Despite its minimal infrastructure, modest guest houses are available for foreign pilgrims, whereas Tibetan pilgrims generally sleep in their own tents. A small regional medical center serving far-western Tibet and funded by the Swiss Ngari Korsum Foundation was built here in 1997. Walking around the holy mountain—a part of its official park—has to be done on foot, pony or yak, taking some three days of trekking starting from a height of around 15,000 ft (4,600 m) past the Tarboche (flagpole) to cross the Drölma pass 18,200 ft (5,500 m), and encamping for two nights en route. First, near the meadow of Dirapuk gompa, some 2 to 3 km (1.2 to 1.9 mi) before the pass and second, after crossing the pass and going downhill as far as possible (viewing Gauri Kund in the distance). 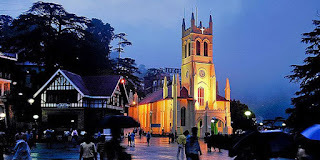 Shimla also known as Simla, is the capital and largest city of the northern Indian state of Himachal Pradesh. Shimla is also a district which is bounded by Mandi and Kullu in the north, Kinnaur in the east, the state of Uttarakhand in the south-east, and Solan and Sirmaur. In 1864, Shimla was declared as the summer capital of British India, succeeding Murree, northeast of Rawalpindi. After independence, the city became the capital of Punjab and was later named the capital of Himachal Pradesh. It is the principal commercial, cultural and educational centre of the hilly regions of the state. As of 2011, the city had 171,817 permanent residents, and was one of the least populous capital cities in India. Shimla was a part of the Sikh Empire. The people of Shimla are informally called Shimlaites. 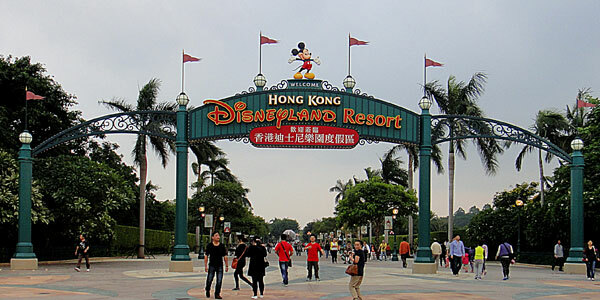 With largely cosmopolitan crowds, a variety of festivals are celebrated here. The Shimla Summer Festival, held every year during peak tourist season, and lasting 3–4 days, is celebrated on the Ridge. The highlights of this event include performances by popular singers from all over the country. 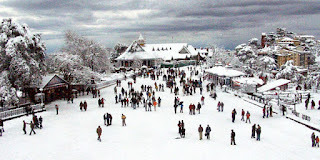 Shimla has a number of places to visit. Local hangouts like the Mall and the Ridge are in the heart of the city. Most of the heritage buildings in the city are preserved in their original 'Tudorbethan' architecture. The former Viceregal Lodge, which now houses the Indian Institute of Advanced Study, and Wildflower Hall, now a luxury hotel, are some of the famous ones. A collection of paintings, jewellery and textiles of the region can be found at the State Museum (built in 1974). Lakkar Bazaar, a market extending off the Ridge, is famous for souvenirs and crafts made of wood. Tatta Pani, 55 kilometres (34.2 mi) from the main city, is the name of hot sulphur springs that are believed to have medicinal value located on the banks of the River Satluj. Shimla is also home to South Asia's only natural ice skating rink. State and national level competitions are often held at this venue. Shimla Ice Skating Club, which manages the rink, hosts a carnival every year in January, which includes a fancy dress competition and figure skating events. Due to effects of global warming and increasing urban development in and around Shimla, the number of sessions on ice every winter have been decreasing in the past few years. 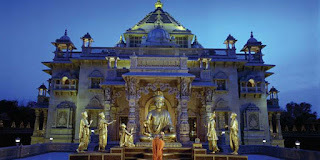 Shimla has many temples and is often visited by devotees from nearby towns and cities. The Kali Bari temple, dedicated to the Hindu goddess Kali is near the mall. Jakhoo Temple, for the Hindu god Hanuman is located at the highest point in Shimla. Sankat Mochan, another Hanuman temple, is famous for the numerous monkeys that are always found in its vicinity. 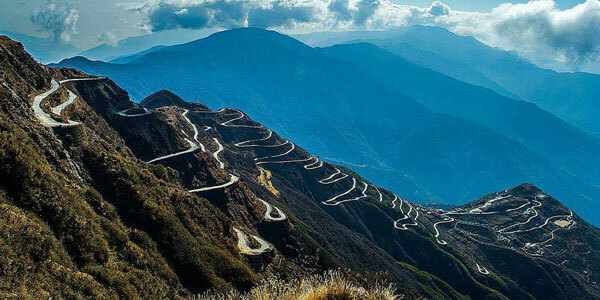 It is located on Shimla-Kalka Highway about 10 kilometres (6.2 mi) from the city. 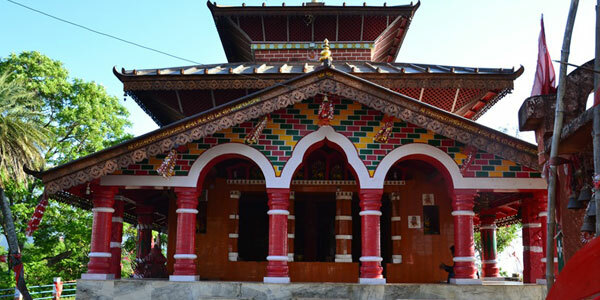 The nearby temple of Tara Devi is a place for performing rituals and festivals. Other prominent places of worship include a Gurudwara near the bus terminus and a Church on The Ridge. Shimla arts and crafts are highly in demand by the tourists. 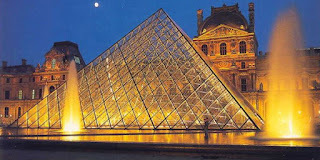 They range from excellent pieces of jewellery, embroidered shawls and garments to leather made articles and sculptures. Shimla is full of pine and deodar trees. The wood has been extensively used in all major buildings of Shimla. The various kinds crafts of Shimla made out of wood includes small boxes, utensils, image carvings and souvenirs. The paintings in Shimla bear the deep artistic insight of the people there. Shimla art bears the testimony of the rich culture and tradition of Shimla. The art of carpet making of Shimla is a great attraction for the tourists. Different floral and other motifs make these carpets look really very beautiful. The wool from the sheep is used to make blankets and rugs. The embroidered stuffs includes handkerchiefs, hand fans, gloves, caps, etc. The arts and crafts of Shimla have that traditional touch in it. Among others, the shawls of Shimla are very well known for their fine quality. The leather craft of Shimla comprises shoes, slippers and belts. The other arts and crafts of Shimla includes a huge collection of beaded and metal jewelleries. These intricately designed jewelleries bear the hallmark of the artistic craftsmanship of the Shimla designers. The temples of Shimla shows the stonework of the architects there. The sculptors have proved their mettle in upholding the art of Shimla. Further out from the city is the Naldehra nine-hole golf course, the oldest of its kind in India. Kufri is a ski resort (winter only) located 19 kilometres (11.8 mi) from the main city. Purulia City also known as "Manbhum City", is a city located in West Bengal state, India, and was constituted in 1876. It is the location of the district headquarters of Purulia district. 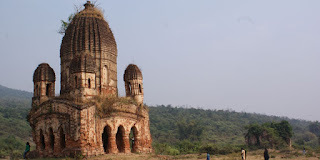 Purulia is located on the north of the Kasai river and is a major road and railway junction. It has an area of 6,259 km2. It is famous for the Chhau dance. Purulia is located at 23.33°N 86.37°E. 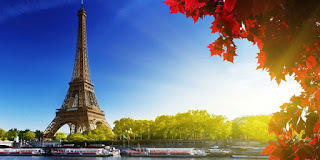 It has an average elevation of 228 metres (748 feet). Summers are hot and dry with temperatures ranging from lows of 23 °C to highs above 45 °C. The temperature reached the highest level in the country on June 18, 2005 at 51.1 °C. Winters are dry and cool with daily temperatures ranging from 5 °C to 20 °C. Most of the rainfall occurs during the wet monsoons. 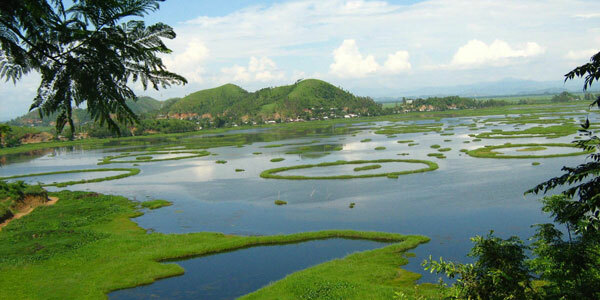 It has many major rivers such as the Damodar, Subernarekha, Kangsabati, and Kumari, along with many dams including Kangsabati dam, Panchet dam, Maithon dam, Murguma dam, and Baghmundi dam. 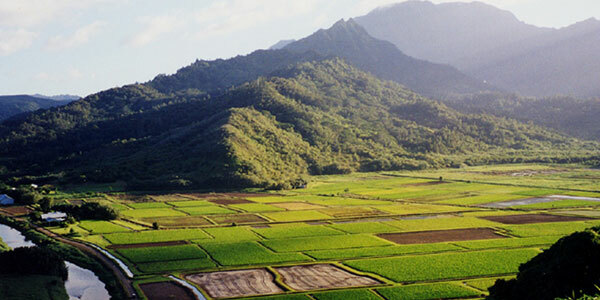 It has a varied landscape consisting of plains, plateaus and hills. Most of the major land forms can be found here. Purulia soil is red and it is said that the soil has the most iron in it compared to other soil in India. 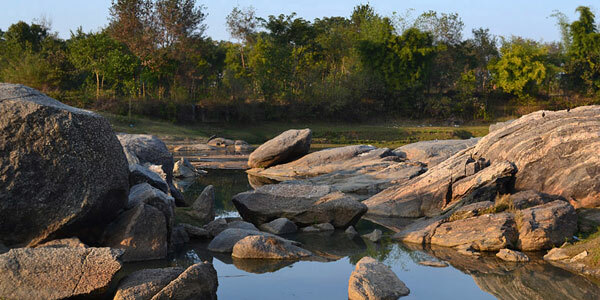 The portion of the Ajodha range located in Purulia is the starting point of the Chottanagpur plateau. The major festivals are Durga Puja, Kali Puja, Manasa Puja, Saraswati Puja & Makar Parab. The whole city is decorated during Diwali. Tribe Saontal's major festival is Bandna or Bandana (it is called as "Saharai parab" by the Santals) which is celebrated in the Bengali month of "Kartik" or "Poush". In this festival they play music, dance together and eat meat-based special dishes like "Manser Pitha". They also take local liquor as a part of their culture named "Hadia". The Saharai parab is celebrated during four days, like (a) Umm (1st day) (b) Daka (2nd day) (c) Khuntau (3rd day) and (d) Jale (4th day). 'Bhadu' is another festival started by Panchakot Raj of Kashipur after the death of a king's daughter named Bhadrabati and nowadays it is enjoyed by the local mass. Karma is a tribe festival in Purulia where tribal people worship the tree whose local name is 'Karam'. Poila Baisakh (The first day of Bengali new year) is also observed in Purulia by the local people with religious culture and Chhou dance. Tourism Festival (Porjoton Utsab) in Raghunathpur Joychandi Pahar is the most popular festival in Purulia District during the last week of December. 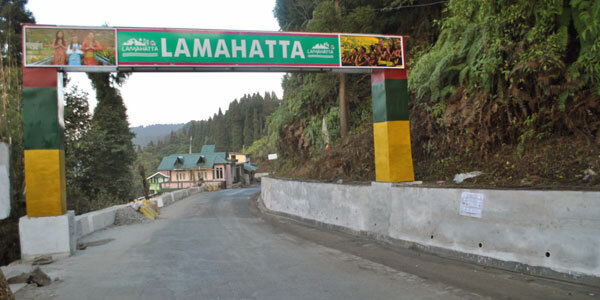 Lamahatta is located at an altitude of about 5,700 feet and at a distance of 23kms from Darjeeling hill town (takes little over an hour by car). Although it's just a small village where farming and cattle rearing are the main sources of livelihood, Lamahatta is well connected by the Darjeeling-Kalimpong state highway. The main inhabitants here are tribes like Sherpas, Yalmos, Tamangs, Bhutias and Dukpas. They have all come together to join hands with the government workers to create an eco tourism place with a government funding of about Rs. 1.5 crores. So what does eco-tourism actually mean for Lamahatta? It means that the ecological balance and the bio-diversity of the environment will remain undisturbed, and the inhabitants of this place will work closely with the tourism development here and run such operations so that they earn out of it and make it sustainable in the long run. As a result several homestays have come up here, all owned by the local villagers. There are 15 rooms with a total of 34 beds and all accommodations have basic amenities including attached toilets, basic furnishing, beds etc. In addition, five tents have been created each with attached toilet, twin beds, cupboards etc. Each tent can accommodate two persons. While all these are developed on one side of the road, on the other side of the road a vast stretch of beautiful manicured garden has been created along the slope of the hill and under the dense dhupi and pine forest. This is the 'Roadside Garden'. From the homestays, you just walk across the road to the entrance of this garden. The garden is full of seasonal flowering plants including white and other colorful orchids. I have already mentioned about the beautiful roadside garden which you should enjoy. It's a great place to get views. There are ethnic shades around the garden and some meant for meditation (you will need to take your shoes off before you enter those shades). You should climb the watch tower (short flights of steps) and enjoy the excellent views on a clear day. Visit the cave temple (about 2kms). Understand and enjoy the Village Mountain Farming System in Lamahatta. 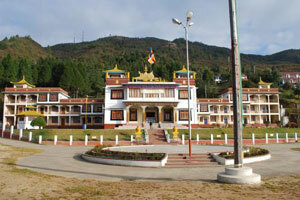 Visit the Lamahatta Village Monastery (Gumpa). The Silk Road or Silk Route was an ancient network of trade routes that for centuries were central to cultural interaction through regions of the Asian continent connecting the East and West from China to the Mediterranean Sea. While the term is of modern coinage, the Silk Road derives its name from the lucrative trade in Chinese silk carried out along its length, beginning during the Han dynasty (207 BCE – 220 CE). The Han dynasty expanded Central Asian sections of the trade routes around 114 BCE, largely through missions and explorations of the Chinese imperial envoy, Zhang Qian. The Chinese took great interest in the safety of their trade products and extended the Great Wall of China to ensure the protection of the trade route. Trade on the Silk Road played a significant role in the development of the civilizations of China, the Indian subcontinent, Persia, Europe, the Horn of Africa and Arabia, opening long-distance political and economic relations between the civilizations. Though silk was certainly the major trade item exported from China, many other goods were traded, and religions, syncretic philosophies, and various technologies, as well as diseases, also spread along the Silk Routes. In addition to economic trade, the Silk Road was a route for cultural trade among the civilizations along its network. The northern route started at Chang'an , an ancient capital of China that was moved further east during the Later Han to Luoyang. The route was defined around the 1st century BCE when Han Wudi put an end to harassment by nomadic tribes. The northern route travelled northwest through the Chinese province of Gansu from Shaanxi Province and split into three further routes, two of them following the mountain ranges to the north and south of the Taklamakan Desert to rejoin at Kashgar, and the other going north of the Tian Shan mountains through Turpan, Talgar, and Almaty (in what is now southeast Kazakhstan). The routes split again west of Kashgar, with a southern branch heading down the Alai Valley towards Termez (in modern Uzbekistan) and Balkh (Afghanistan), while the other travelled through Kokand in the Fergana Valley (in present-day eastern Uzbekistan) and then west across the Karakum Desert. Both routes joined the main southern route before reaching ancient Merv, Turkmenistan. Another branch of the northern route turned northwest past the Aral Sea and north of the Caspian Sea, then and on to the Black Sea. A route for caravans, the northern Silk Road brought to China many goods such as "dates, saffron powder and pistachio nuts from Persia; frankincense, aloes and myrrh from Somalia; sandalwood from India; glass bottles from Egypt, and other expensive and desirable goods from other parts of the world." In exchange, the caravans sent back bolts of silk brocade, lacquer-ware, and porcelain. The southern route or Karakoram route was mainly a single route running from China through the Karakoram mountains, where it persists in modern times as the international paved road connecting Pakistan and China as the Karakoram Highway. It then set off westwards, but with southward spurs enabling the journey to be completed by sea from various points. Crossing the high mountains, it passed through northern Pakistan, over the Hindu Kush mountains, and into Afghanistan, rejoining the northern route near Merv, Turkmenistan. From Merv, it followed a nearly straight line west through mountainous northern Iran, Mesopotamia, and the northern tip of the Syrian Desert to the Levant, where Mediterranean trading ships plied regular routes to Italy, while land routes went either north through Anatolia or south to North Africa. Another branch road travelled from Herat through Susa to Charax Spasinu at the head of the Persian Gulf and across to Petra and on to Alexandria and other eastern Mediterranean ports from where ships carried the cargoes to Rome. Uttarakhand formerly known as Uttaranchal, is a state in the northern part of India. 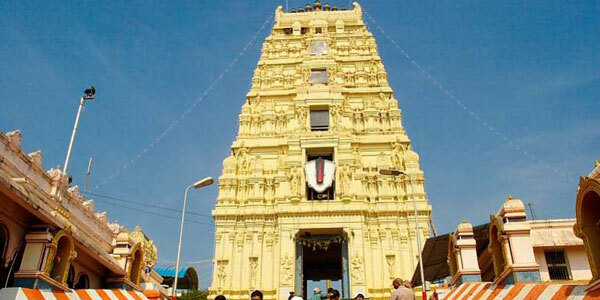 It is often referred to as the Devbhumi due to many Hindu temples and pilgrimage centres found throughout the state. Uttarakhand is known for its natural beauty of the Himalayas, the Bhabhar and the Terai. On 9 November 2000, this 27th state of the Republic of India was created from the Himalayan and adjoining northwestern districts of Uttar Pradesh. It borders the Tibet on the north; the Mahakali Zone of the Far-Western Region, Nepal on the east; and the Indian states of Uttar Pradesh to the south and Himachal Pradesh to the west and north-west as well as Haryana to its south-western corner. The state is divided into two divisions, Garhwal and Kumaon, with a total of 13 districts. The interim capital of Uttarakhand is Dehradun, the largest city in the region, which is a railhead. The High Court of the state is in Nainital. Uttarakhand has long been called "Land of the Gods" as the state has some of the holiest Hindu shrines, and for more than a thousand years, pilgrims have been visiting the region in the hopes of salvation and purification from sin. Gangotri and Yamunotri, the sources of the Ganges and Yamuna, dedicated to Ganga and Yamuna respectively, fall in the upper reaches of the state and together with Badrinath (dedicated to Vishnu) and Kedarnath (dedicated to Shiva) form the Chota Char Dham, one of Hinduism's most spiritual and auspicious pilgrimage circuits. 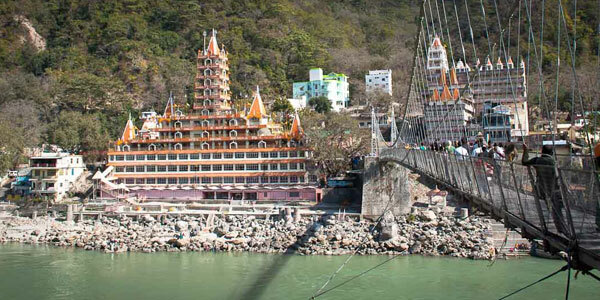 Haridwar, meaning "Gateway to the God", is a prime Hindu destination. Haridwar hosts the Kumbha Mela every twelve years, in which millions of pilgrims take part from all parts of India and the world. 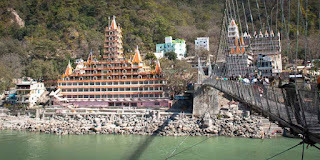 Rishikesh near Haridwar is known as the preeminent yoga centre of India. The state has an abundance of temples and shrines, many dedicated to local deities or manifestations of Shiva and Durga, references to many of which can be found in Hindu scriptures and legends. Uttarakhand is, however, a place of pilgrimage not only for Hindus. 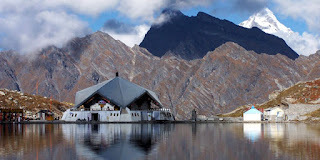 Piran Kaliyar Sharif near Roorkee is a pilgrimage site to Muslims, Gurdwara Hemkund Sahib, Reetha Sahib and Nanakmatta Sahib, nested in the Himalayas, is a prime pilgrimage centre for Sikhs. Tibetan Buddhism has also made itself felt with the reconstruction of Mindrolling Monastery and its Buddha Stupa, described as the world's highest at Clement Town, Dehradun. Some of the most famous hill stations in India are in Uttarakhand. Mussoorie, Nainital, Dhanaulti, Lansdowne, Pauri, Sattal, Almora, Kausani, Bhimtal, and Ranikhet are some popular hill stations in Uttarakhand. The state has 12 National Parks and Wildlife Sanctuaries which cover 13.8 percent of the total area of the state. They are located at different altitudes varying from 800 to 5400 metres. 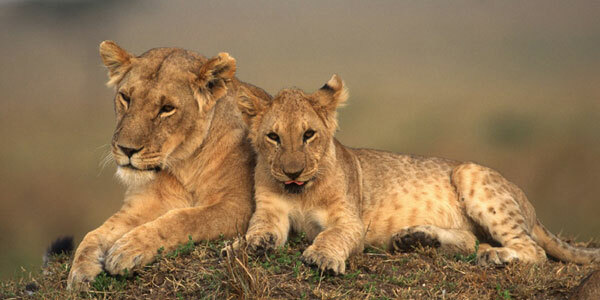 The oldest national park on the Indian sub-continent, Jim Corbett National Park, is a major tourist attraction. 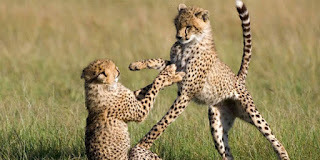 The park is famous for its varied wildlife and Project Tiger run by the Government of India. 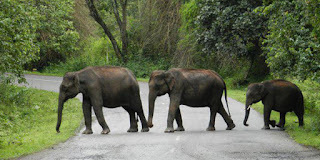 Rajaji National Park is famous for its elephants. In addition, the state boasts Valley of Flowers National Park and Nanda Devi National Park in Chamoli District, which together are a UNESCO World Heritage Site. Vasudhara Falls, near Badrinath is a waterfall with a height of 122 metres (400 ft) set in a backdrop of snow-clad mountains. The state has always been a destination for mountaineering, hiking, and rock climbing in India. A recent development in adventure tourism in the region has been whitewater rafting in Rishikesh. Due to its proximity to the Himalaya ranges, the place is full of hills and mountains and is suitable for trekking, climbing, skiing, camping, rock climbing, and paragliding. 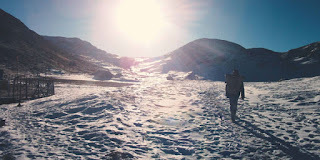 Roopkund is a popular trekking site, famous for the mysterious skeletons found in a lake, which was featured by National Geographic Channel in a documentary. The trek to Roopkund passes through the beautiful meadows of Bugyal. 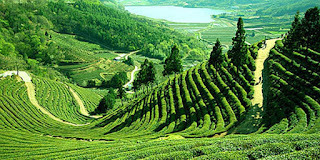 Kumaon or Kumaun is one of the two regions and administrative divisions of Uttarakhand, a mountainous state of northern India, the other being Garhwal. It includes the districts of Almora, Bageshwar, Champawat, Nainital, Pithoragarh, and Udham Singh Nagar. It is bounded on the north by Tibet, on the east by Nepal, on the south by the state of Uttar Pradesh, and on the west by the Garhwal region. The people of Kumaon are known as Kumaonis and speak the Kumaoni language. 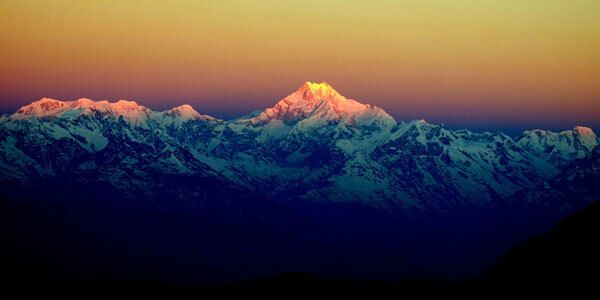 It is home to a famous Indian Army regiment, the Kumaon Regiment. 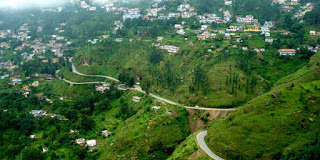 Important towns of Kumaon are Haldwani, Nainital, Almora, Pithoragarh, Rudrapur, Kashipur, Pantnagar, Mukteshwar and Ranikhet. Nainital is the administrative centre of Kumaon Division and this is where the Uttarakhand high court is located. 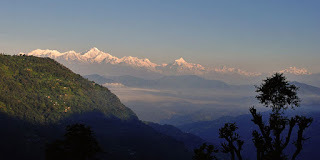 The Kumaon region consists of a large Himalayan tract, together with two submontane strips called the Terai and the Bhabar. The submontane strips were up to 1850 an almost impenetrable forest, given up to wild animals; but after 1850 the numerous clearings attracted a large population from the hills, who cultivated the rich soil during the hot and cold seasons, returning to the hills in the rains. The rest of Kumaon is a maze of mountains, part of the Himalaya range, some of which are among the loftiest known. In a tract not more than 225 km in length and 65 km in breadth there are over thirty peaks rising to elevations exceeding 5500 m. The rivers like Gori, Dhauli, and Kali rise chiefly in the southern slope of the Tibetan watershed north of the loftiest peaks, amongst which they make their way down valleys of rapid declivity and extraordinary depth. The principal is the Sharda (Kali Ganga), the Pindari and Kailganga, whose waters join the Alaknanda. 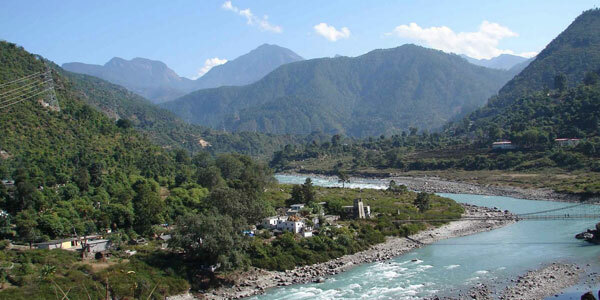 The river Sharda (Kali Ganga) forms the international boundary between India and Nepal. The pilgrim route currently used to visit Kailash-Mansarovar goes along this river and crosses into Tibet at Lipu Lekh pass. 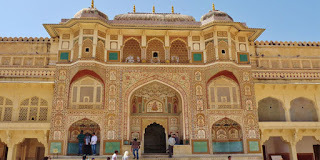 Jaipur is the capital and largest city of the Indian state of Rajasthan in Northern India. It was founded on 18 November 1726 by Maharaja Jai Singh II, the ruler of Amer after whom the city is named. 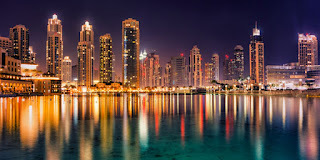 As of 2011, the city has a population of 3.1 million, making it the tenth most populous city in the country. 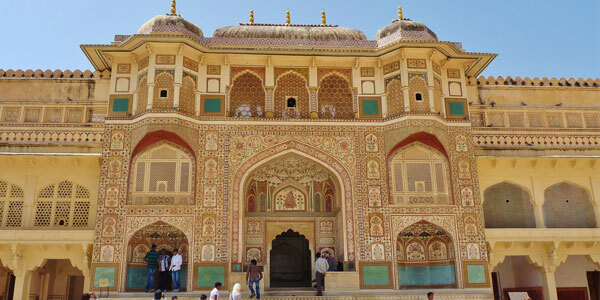 Jaipur is also known as the Pink City of India. Located 260 km from the Indian capital New Delhi, Jaipur forms a part of the Golden Triangle tourist circuit along with Agra (240 km). Jaipur is a popular tourist destination in India and serves as a gateway to other tourist destinations in Rajasthan such as Jodhpur (348 km), Jaisalmer (571 km) and Udaipur (421 km). 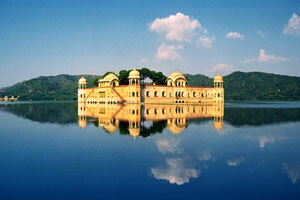 Jaipur is a major tourist destination in India forming a part of the Golden Triangle. In the 2008 Conde Nast Traveller Readers Choice Survey, Jaipur was ranked the 7th best place to visit in Asia. According to TripAdvisor's 2015 Traveller's Choice Awards for Destination, Jaipur ranked 1st among the Indian destination for the year. The Presidential Suite at the Raj Palace Hotel, billed at US$45,000 per night, was listed in second place on CNN's World's 15 most expensive hotel suites in 2012. 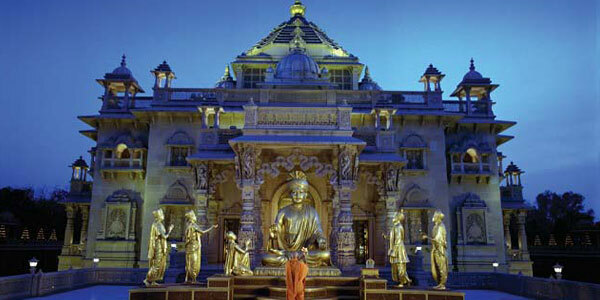 Jaipur Exhibition & Convention Centre (JECC) is Rajasthan's biggest convention and exhibition centre. It is famous for organising events such as Vastara, Jaipur Jewellery Show, Stonemart 2015 and Resurgent Rajasthan Partnership Summit 2015. 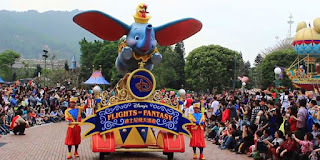 Visitor attractions include the Hawa Mahal, Jal Mahal, City Palace, Amer Fort, Jantar Mantar, Nahargarh Fort, Jaigarh Fort, Galtaji, Govind Dev Ji Temple, Garh Ganesh Temple, Sri Kali Temple, Birla Mandir, Sanganeri Gate and the Jaipur Zoo. The Jantar Mantar observatory and Amer Fort are one of the World Heritage Sites. Hawa Mahal is a five-storey pyramidal shaped monument with 953 windows that rises 15 metres (50 ft) from its high base. Sisodiya Rani Bagh and Kanak Vrindavan are the major parks in Jaipur. 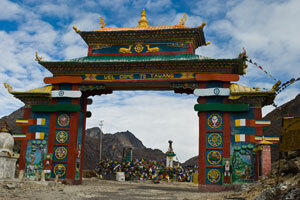 Sikkim is a landlocked state of India, and the last to give up its monarchy and fully integrate into India in 1975. Located in the Himalayan mountains, the state is bordered by Nepal to the west, China's Tibet Autonomous Region to the north and northeast, and Bhutan to the east and the Indian state of West Bengal to the south. The state has five seasons: winter, summer, spring, autumn, and a monsoon season between June and September. 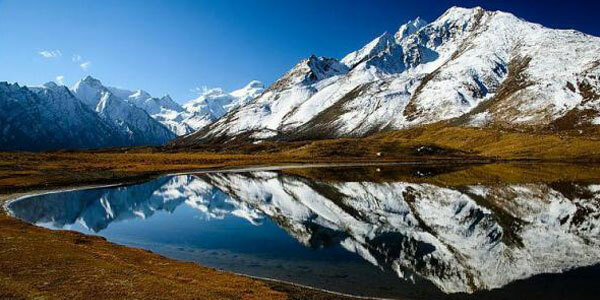 Sikkim's climate ranges from sub-tropical in the south to tundra in the north. 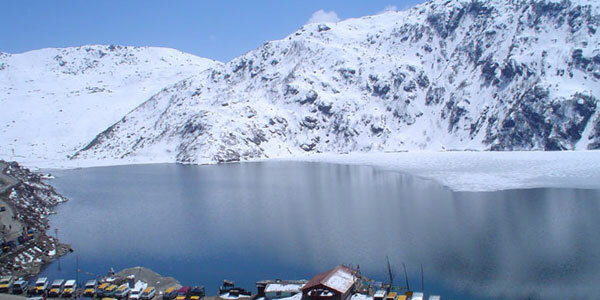 Most of the inhabited regions of Sikkim experience a temperate climate, with temperatures seldom exceeding 28 °C (82 °F) in summer. 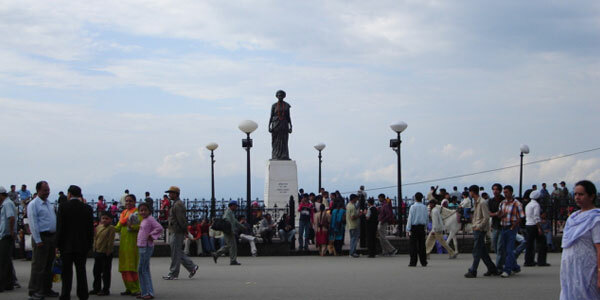 The average annual temperature for most of Sikkim is around 18 °C (64 °F). Sikkim is one of the few states in India to receive regular snowfall. The snow line ranges from 6,100 metres (20,000 ft) in the south of the state to 4,900 metres (16,100 ft) in the north. The tundra-type region in the north is snowbound for four months every year, and the temperature drops below 0 °C (32 °F) almost every night. In north-western Sikkim, the peaks are frozen year-round; because of the high altitude, temperatures in the mountains can drop to as low as −40 °C (−40 °F) in winter. During the monsoon, heavy rains increase the risk of landslides. The record for the longest period of continuous rain in Sikkim is 11 days. Fog affects many parts of the state during winter and the monsoons, making transportation perilous. Tourist inflow into Darjeeling had been affected by the political instability in the region, and agitations in the 1980s and 2000s hit the tourism industry hard. However, post 2012, Darjeeling has once again witnessed a steady inflow of both domestic and international tourists. 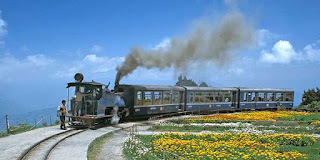 Presently, around 50,000 foreign and 5 lakh domestic tourists visit Darjeeling each year, and its repute as the 'Queen of the Hills' remains unaltered. According to an India Today survey published on 23 December 2015, Darjeeling is the third most googled travel destination among all the tourist spots in India. Char Dham are the names of four pilgrimage sites in India that are widely revered by Hindus. It comprises Badrinath, Dwarka, Puri and Rameswaram. 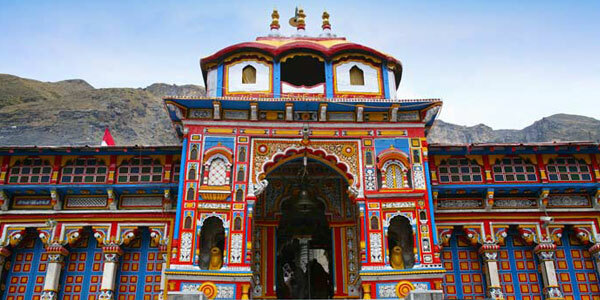 It is considered highly sacred by Hindus to visit Char Dham during one's lifetime. 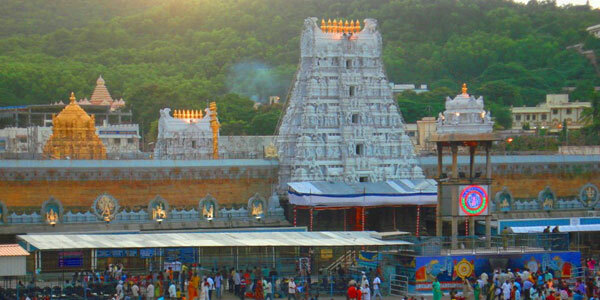 The Char Dham defined by Adi Shankaracharya consists of four Vaishnavite pilgrimages. 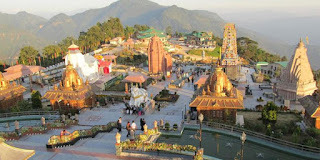 The other pilgrimages sites in the Indian state of Uttarakhand viz. 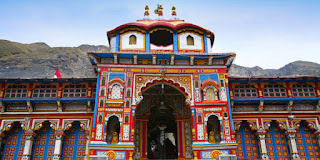 Yamunotri, Gangotri, Kedarnath, and Badrinath were known as Chota Char Dham to differentiate them from the bigger circuit of Char Dham sites, but after the mid-20th century they have been also referred to as the Char Dham. 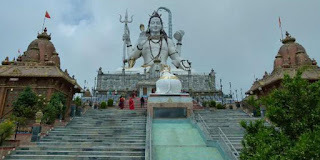 Char Dham Yatra is one the most popular pilgrimage route, with millions of devotees paying homage to all these religious places in aspiration of eliminates all sins and to attain salvation by the blessings of the Lord. Every Year More than 250,000 pilgrims visit Chardham from various parts of India. Char dham is also growing popular among foriegn tourists, who are blessed to see the heavenly natural beauty and Himalayas with a chance to know more about culture of India. CharDhams of Uttarakand can be covered in one strech in a matter of 10-11 days. 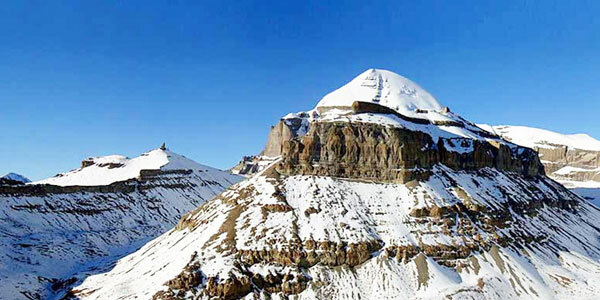 Nowdays, you can also get helicopter services to visit CharDham in just 2 days. 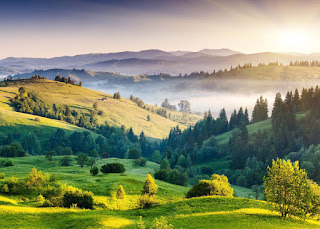 Due to Picturesque surroundings, high altitude mountain region (Himalayas), dense forests, large valleys and enthralling environment gives an opportunity to visitors to unwind themselves by breathing fresh air with experience of majestic locations. Assam is a state in northeastern India. Located south of the eastern Himalayas, Assam comprises the Brahmaputra Valley and the Barak Valley along with the Karbi Anglong and Dima Hasao districts with an area of 30,285 sq mi (78,440 km2). Assam, along with Arunachal Pradesh, Nagaland, Manipur, Mizoram, Tripura, and Meghalaya, is one of the Seven Sister States. Geographically, Assam and these states are connected to the rest of India via a 22 kilometres (14 mi) strip of land in West Bengal called the Siliguri Corridor or "Chicken's Neck". Assam shares an international border with Bhutan and Bangladesh; and its culture, people and climate are similar to those of South-East Asia – comprising the elements in India's Look East policy. Assam is known for Assam tea and Assam silk. The first oil well in Asia was drilled here. 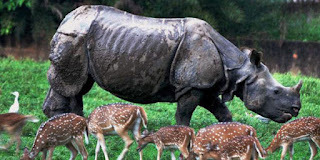 The state has conserved the one-horned Indian rhinoceros from near extinction, along with the wild water buffalo, pygmy hog, tiger and various species of Asiatic birds. It provides one of the last wild habitats for the Asian elephant. The Assamese economy is aided by wildlife tourism, centred around Kaziranga National Park and Manas National Park which are World Heritage Sites. Sal tree forests are found in the state which, as a result of abundant rainfall, looks green all year round. Assam receives more rainfall compared to most parts of India. This rain feeds the Brahmaputra River, whose tributaries and oxbow lakes provide the region with a hydro-geomorphic and aesthetic environment. 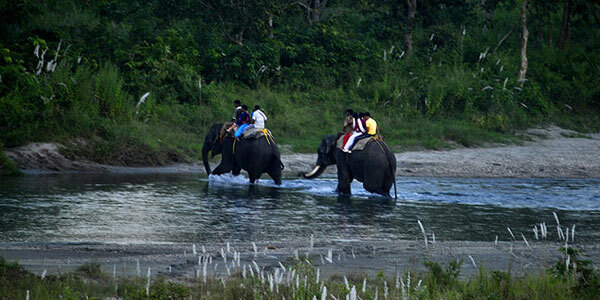 Northeast India consists of Seven Sister States, Sikkim and northeastern part of West Bengal. 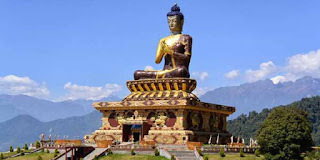 This article mentions tourist attractions in the Northeast region of India. 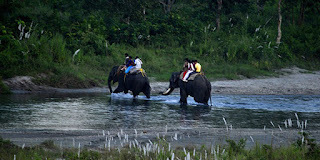 Kaziranga National Park is a national park in the Golaghat and Nagaon districts of the state of Assam, India. 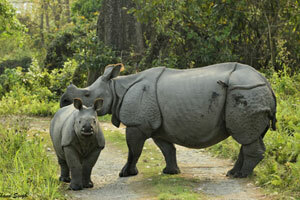 A World Heritage Site, the park hosts two-thirds of the world's great one-horned rhinoceroses. Kaziranga boasts the highest density of tigers among protected areas in the world and was declared a tiger reserve in 2006.Manas National Park or Manas Wildlife Sanctuary is a national park, UNESCO Natural World Heritage Site, a Project Tiger reserve, an elephant reserve and a biosphere reserve in Assam.Namdapha National Park is the largest protected area in the Eastern Himalaya biodiversity hotspot and is in Arunachal Pradesh in Northeast India. It is the third largest national park in India in area. 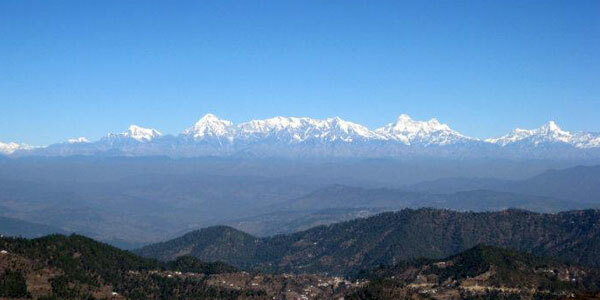 It is in the Eastern Himalayan sub-region and is recognized as one of the richest areas in biodiversity in India. Jayanti is a small forest village within Buxa Tiger Reserve in Alipurduar district of West Bengal, India. It is located along the Jayanti River, forming a natural border with the Bhutan hills. 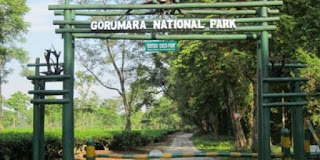 It is popular with hikers for its beautiful views of the surrounding landscape and wild fountains.The 13 km trek from Buxaduar to Jayanti is especially popular, passing through the dense forest of the Buxa Tiger Reserve. Buxa Fort is located at an altitude of 867 metres (2,844 ft) in the Buxa Tiger Reserve, Alipurduar district, West Bengal. It is located 30 kilometres (19 mi) from Alipurduar, the nearest town. The Bhutan King used the fort to protect the portion of famous Silk Route connecting Tibet with India, via Bhutan. Still later during unrest in Occupation of Tibet, hundreds of refugees arrived at the place and used the then abandoned fort as refuge. Rajabhatkhawa is a small town situated just outside the Buxa Tiger Reserve in the Alipurduar district of West Bengal, India. It is known for its natural beauty, surrounded by forest. All the permits for the entry to the Buxa Tiger reserve can be taken from here. 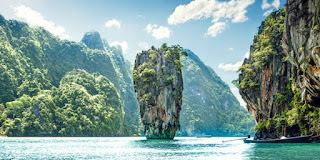 The Andaman and Nicobar Islands one of the seven union territories of India, are a group of islands at the juncture of the Bay of Bengal and Andaman Sea.The territory is 150 km (93 mi) north of Aceh in Indonesia and separated from Thailand and Myanmar (Burma) by the Andaman Sea. It comprises two island groups, the Andaman Islands and the Nicobar Islands, separated by the 10°N parallel, with the Andamans to the north of this latitude, and the Nicobars to the south. The Andaman Sea lies to the east and the Bay of Bengal to the west. The territory's capital is the Andamanese town of Port Blair. 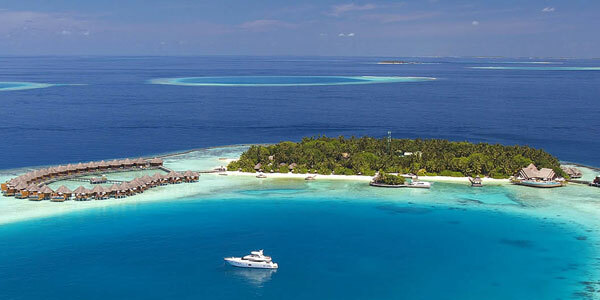 The total land area of these islands is approximately 8,249 km2 (3,185 sq mi). The capital of Nicobar Islands is Car Nicobar. The islands host the Andaman and Nicobar Command, the only tri-service geographical command of the Indian Armed Forces. Andaman and Nicobar Islands are developing into a major tourism hub with exotic-looking beaches and pristine islands having equally exotic names, wonderful opportunities for adventure sports like snorkelling and sea-walking. In Port Blair, the main places to visit are the Cellular Jail, Mahatma Gandhi Marine National Park, Andaman Water sports complex, Chatham Saw Mill, Mini Zoo, Corbyn's cove, Chidiya Tapu, Wandoor Beach, Forest Museum, Anthropological Museum, Fisheries Museum, Naval Museum (Samudrika), Ross Island and Viper Island. 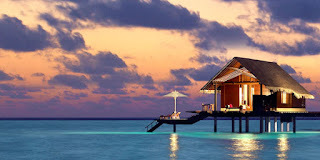 Other places include Havelock island famous for Radhanagar Beach, Neil Island for Scuba diving/snorkelling, Cinque island, Saddle peak, Mt Harriet and Mud Volcano. 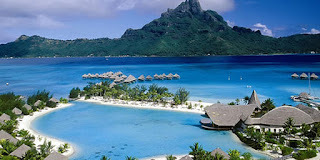 The southern group (Nicobar islands) is mostly inaccessible to tourists. Indian tourists do not require a permit to visit the Andaman islands but if they wish to visit any tribal areas they need a special permit from the Deputy Commissioner, Port Blair. Permits are required for foreign nationals. For foreign nationals arriving by air, these are granted upon arrival at Port Blair. 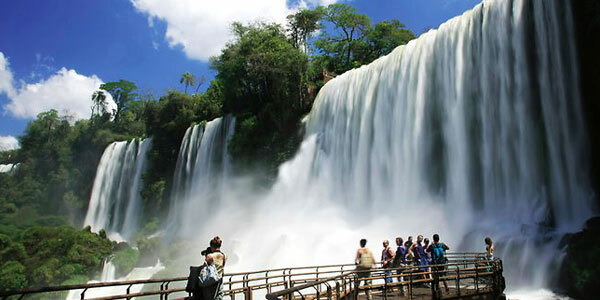 According to official estimates, the flow of tourists doubled to nearly 300,000 in 2012 from 130,000 in 2008-09. The Radha Nagar beach of Andamans was chosen as Asia's best Beach in 2004. 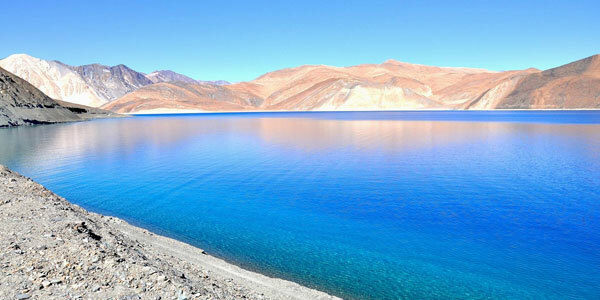 Ladakh is the highest plateau in the state of Jammu & Kashmir with much of it being over 3,000 m (9,800 ft). It extends from the Himalayan to the Kunlun Ranges and includes the upper Indus River valley. 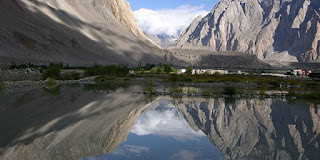 Historically, the region included the Baltistan (Baltiyul) valleys (now mostly in Pakistani administered part of Kashmir), the entire upper Indus Valley, the remote Zanskar, Lahaul and Spiti to the south, much of Ngari including the Rudok region and Guge in the east, Aksai Chin in the northeast, and the Nubra Valley to the north over Khardong La in the Ladakh Range. 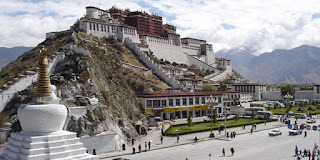 Contemporary Ladakh borders Tibet to the east, the Lahaul and Spiti regions to the south, the Vale of Kashmir, Jammu and Baltiyul regions to the west, and the southwest corner of Xinjiang across the Karakoram Pass in the far north. The historic but imprecise divide between Ladakh and the Tibetan Plateau commences in the north in the intricate maze of ridges east of Rudok including Aling Kangri and Mavang Kangri, and continues southeastward toward northwestern Nepal. Before partition, Baltistan, now under Pakistani control, was a district in Ladakh. Skardo was the winter capital of Ladakh while Leh was the summer capital. The mountain ranges in this region were formed over 45 million years by the folding of the Indian plate into the more stationary Eurasian Plate. The drift continues, causing frequent earthquakes in the Himalayan region. 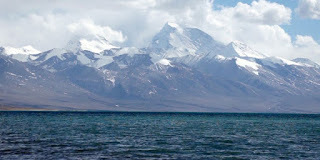 [f] The peaks in the Ladakh Range are at a medium altitude close to the Zoji-la (5,000–5,500 m or 16,000–18,050 ft) and increase toward southeast, culminating in the twin summits of Nun-Kun (7000 m or 23,000 ft). 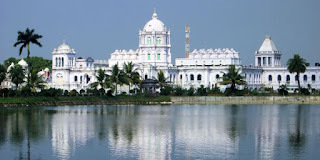 Within its small geographical area, Tripura offers plenty of attractions for the tourists in the form of magnificent palaces ( Ujjayanta Palace and Kunjaban Palace at Agartala and Neermahal - Lake Palace at Melaghar ), splendid rock-cut carvings and stone images ( Unakoti near Kailashahar, Debtamura near Amarpur and Pilak in Belonia Sub-divisions ), important temples of Hindus and Buddhists including the famous Mata Tripureswari temple ( one of the 51 Pithasthans as per Hindu mythology ) at Udaipur, vast natural as well as artificial lakes namely Dumboor lake in Gandacherra subdivision, Rudrasagar at Melaghar, Amarsagar, Jagannath Dighi, Kalyan Sagar, etc. 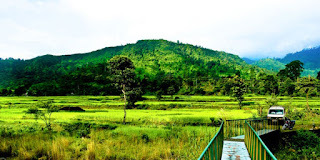 at Udaipur, the beautiful hill station of Jampui hill bordering Mizoram, wild life sanctuaries at Sepahijala, Gumti, Rowa and Trishna, eco parks created by forest department at Manu, Baramura, Ambassa and rich cultural heritage of Tribals, Bengalis and Manipuri communities residing in the state. The main attractions in Agartala are Ujjayanta Palace, State Museum, Heritage Park, Tribal Museum, Sukanta Academy, M.B.B. 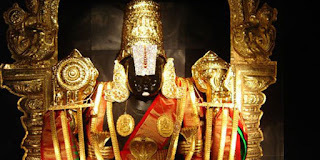 College, Laxminarayan Temple, Uma Maheswar Temple, Jagannath Temple, Benuban Bihar, Gedu Mian Mosque, Malancha Niwas, Rabindra Kanan, Purbasha, Handicrafts Designing Centre, Fourteen Goddess Temple, Portuguese Church etc. Kerala historically known as Keralam, is an Indian state in South India on the Malabar coast. It was formed on 1 November 1956 following the States Reorganisation Act by combining Malayalam-speaking regions. Spread over 38,863 km2 (15,005 sq mi), it is bordered by Karnataka to the north and northeast, Tamil Nadu to the east and south, and the Lakshadweep Sea to the west. With 33,387,677 inhabitants as per the 2011 Census, Kerala is the thirteenth-largest state by population and is divided into 14 districts with the capital being Thiruvananthapuram. Malayalam is the most widely spoken language and is also the official language of the state. The culture of Kerala is composite and cosmopolitan in nature and it is an integral part of Indian culture. It is synthesis of Aryan and Dravidian cultures, defined by its antiquity and the organic continuity sustained by the Malayali people. It has been elaborated through centuries of contact with neighbouring and overseas cultures. However, the geographical insularity of Kerala from the rest of the country has resulted in the development of a distinctive lifestyle, art, architecture, language, literature and social institutions. Over 10,000 festivals are celebrated in the state every year. The Malayalam calendar, a solar calendar started from 825 CE in Kerala, finds common usage in planning agricultural and religious activities. Onam is a harvest festival celebrated by the people of Kerala and is a reminiscent of the state's agrarian past. It is also the State festival of Kerala with public holidays for four days from Onam Eve (Uthradom) to the fourth Onam Day. Onam falls in the Malayalam month of Chingam (August–September) and marks the commemoration of the Vamana avatara of Vishnu and the subsequent homecoming of King Mahabali. It is one of the festivals celebrated with cultural elements such as Vallam Kali, Pulikali, Pookkalam, Thumbi Thullal and Onavillu. 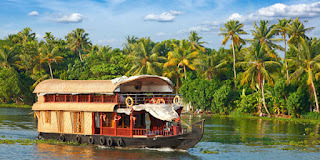 Kerala's culture and traditions, coupled with its varied demographics, have made the state one of the most popular tourist destinations in India. In 2012, National Geographic's Traveller magazine named Kerala as one of the "ten paradises of the world" and "50 must see destinations of a lifetime". 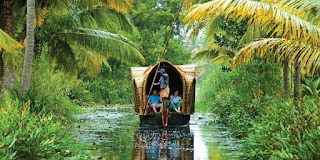 Travel and Leisure also described Kerala as "One of the 100 great trips for the 21st century". 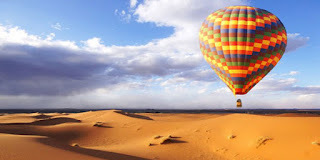 In 2012, it overtook the Taj Mahal to be the number one travel destination in Google's search trends for India. Kerala's beaches, backwaters, lakes, mountain ranges, waterfalls, ancient ports, palaces, religious institutions and wildlife sanctuaries are major attractions for both domestic and international tourists. 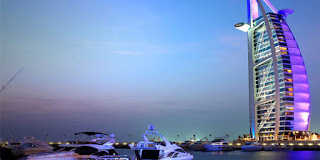 The city of Kochi ranks first in the total number of international and domestic tourists in Kerala. Until the early 1980s, Kerala was a relatively unknown destination compared to other states in the country. In 1986 the government of Kerala declared tourism an important industry and it was the first state in India to do so. Marketing campaigns launched by the Kerala Tourism Development Corporation, the government agency that oversees the tourism prospects of the state, resulted in the growth of the tourism industry. Many advertisements branded Kerala with the tagline Kerala, God's Own Country. Kerala tourism is a global brand and regarded as one of the destinations with highest recall. 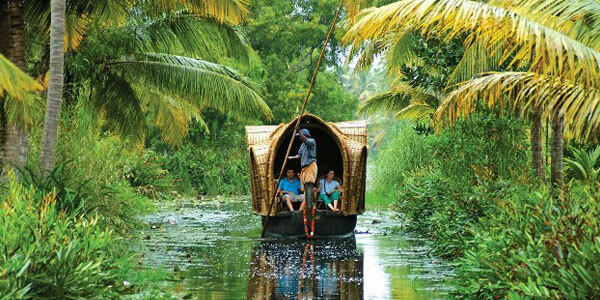 In 2006, Kerala attracted 8.5 million tourists, an increase of 23.68% over the previous year, making the state one of the fastest-growing popular destinations in the world. 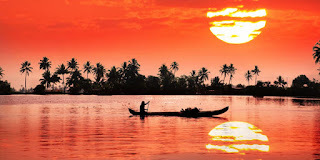 In 2011, tourist inflow to Kerala crossed the 10-million mark. Thirumala is a suburb of Thiruvananthapuram, the capital of Kerala, India. The name is literally split into two, 'Thiru' 'Mala' meaning "Holy Hill" which refers to the hill on which an ancient Hindu temple dedicated to the god Krishna called Parakovil which is formally known as Thrichakrapuram S Thirumala is also a huge hill, the summit of which may be reached from the Killiar at Jagathy, top most point being Parakovil. 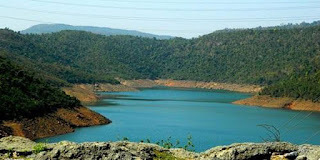 Thirumala is on the Kattakkada – Neyyar Dam Road. It is about 6 km from Thampanoor and 2 km from Vazhuthacaud. Private and Kerala State Road Transport Corporation bus services are available from Thiruvananthapuram Central Bus Station at Thampanoor and from East Fort. There is a temple for Lord Krishna on top of the hill rock. The small temple has around 95 steps where the entire green trivandrum can be seen. The temple had two small shrines, for Ganesha and Krishna. The entrance had a small wish tree also. Tirumala Krishna Temple Entrance On the foot hill of the temple, there is an ashram where Goddess Devi and Lord Krishna's shrine is present. It is a very peaceful place in Trivandrum City. 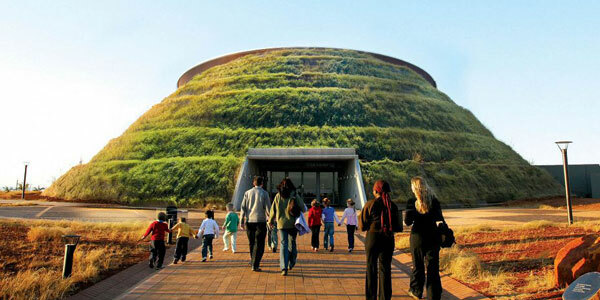 The state, on account of its unrivalled aesthetics and diverse cultural heritage possesses a great tourism potential. 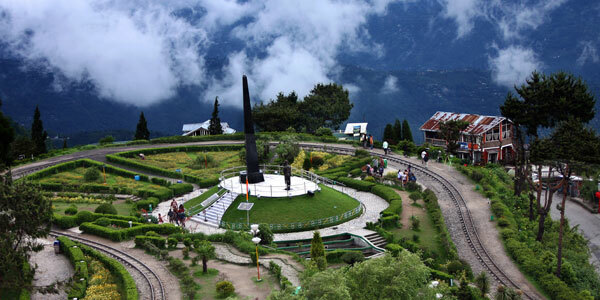 Popular tourist attractions include Tawang (a town with a Buddhist monastery) at 3000 m elevation, Ziro (which holds cultural festivals),Yomcha (limestone caves called 'tapen uru'), the Namdapha tiger project in Changlang district and Sela lake near Bomdila with its bamboo bridges overhanging the river. Religious places of interest include Malinithan in Lekhabali, Rukhmininagar near Roing (the place as per the popular Hindu mythology, Rukmini, Lord Krishna's wife, said to have lived), and Parshuram Kund in Lohit district as Puranas is the lake where sage Parshuram washed away his sins,The Ganga lake and various other tourist hot spots. 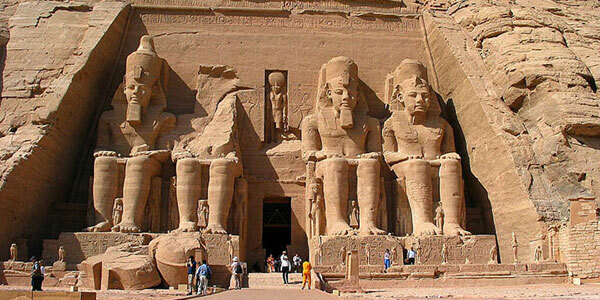 Egypt officially the Arab Republic of Egypt, is a transcontinental country spanning the northeast corner of Africa and southwest corner of Asia by a land bridge formed by the Sinai Peninsula. 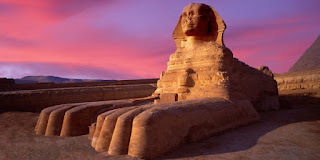 Egypt is a Mediterranean country bordered by the Gaza Strip and Israel to the northeast, the Gulf of Aqaba to the east, the Red Sea to the east and south, Sudan to the south, and Libya to the west. Across the Gulf of Aqaba lies Jordan, and across from the Sinai Peninsula lies Saudi Arabia, although Jordan and Saudi Arabia do not share a land border with Egypt. It is the world's only contiguous Afrasian nation. 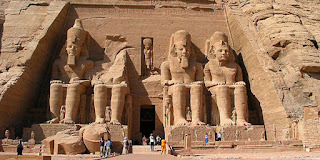 Egypt has one of the oldest civilisations in the world. It has been in contact with many other civilisations and nations and has been through so many eras, starting from prehistoric age to the modern age, passing through so many ages such as; Pharonic, Roman, Greek, Islamic and many other ages. 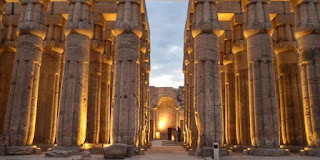 Because of this wide variation of ages, the continuous contact with other nations and the big number of conflicts Egypt had been through, at least 60 museums may be found in Egypt, mainly covering a wide area of these ages and conflicts. 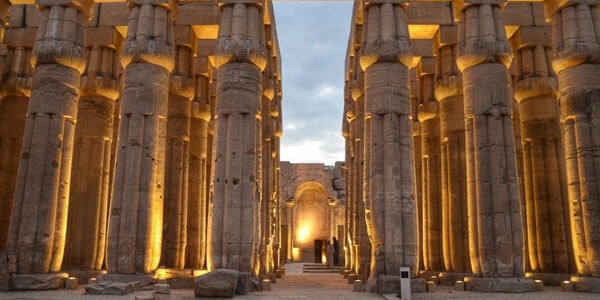 The three main museums in Egypt are the The Egyptian Museum which has more than 120,000 items, the Egyptian National Military Museum and the 6th of October Panorama. The Grand Egyptian Museum (GEM), also known as the Giza Museum, is a planned museum of artefacts of ancient Egypt. Described as the largest archaeological museum in the world, the museum is scheduled to open in 2015. The museum will be sited on 50 hectares (120 acres) of land approximately two kilometres from the Giza Necropolis and is part of a new master plan for the plateau. Egypt celebrates many festivals and religious carnivals, also known as mulid. They are usually associated with a particular Coptic or Sufi saint, but are often celebrated by Egyptians irrespective of creed or religion. Ramadan has a special flavour in Egypt, celebrated with sounds, lights (local lanterns known as fawanees) and much flare that many Muslim tourists from the region flock to Egypt to witness during Ramadan. The ancient spring festival of Sham en Nisim has been celebrated by Egyptians for thousands of years, typically between the Egyptian months of Paremoude (April) and Pashons (May), following Easter Sunday. Sydney is the state capital of New South Wales and the most populous city in Australia and Oceania. Located on Australia's east coast, the metropolis surrounds the world's largest natural harbour, and sprawls towards the Blue Mountains to the west. 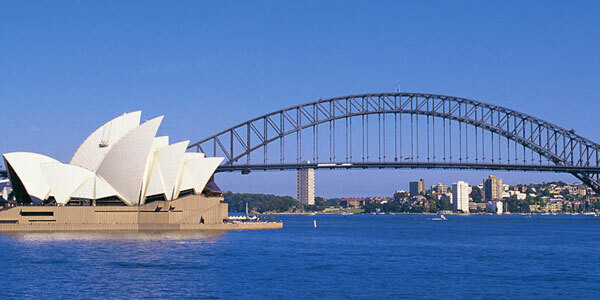 Residents of Sydney are known as "Sydneysiders". Sydney is the second official seat and second official residence of the Governor-General of Australia and the Prime Minister of Australia. Sydney is known as the Harbour City. It's the largest, oldest and most cosmopolitan city in Australia with an enviable reputation as one of the world's most beautiful and liveable cities. 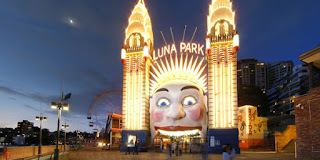 Brimming with history, nature, culture, art, fashion, cuisine, design, Sydney's set next to miles of ocean coastline and sandy surf beaches. Longterm immigration has led to the cities reputation as one of the most culturally and ethnically diverse cities in Australia and the world. The city is also home to the Sydney Opera House and the Sydney Harbour Bridge, two of the most iconic structures on this planet. Burj Khalifa is an 828 metres (2,717 ft) high skyscraper in Dubai, and the tallest man-made building in the world. 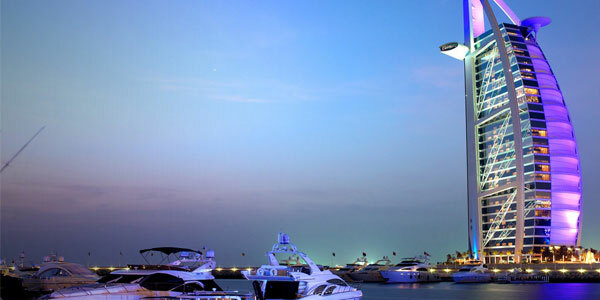 The tower was inspired by the structure of the desert flower named as Hymenocallis. It was constructed by more than 30 contracting companies around the world with 100 nationalities of workers. 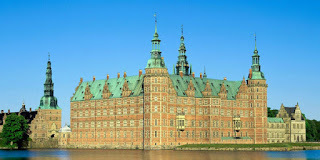 It is a building icon. On February 14, 2013, the Dubai Miracle Garden, a 72,000-metre (236,000-foot) flower garden, opened in Dubailand. It is the world's largest flower garden. 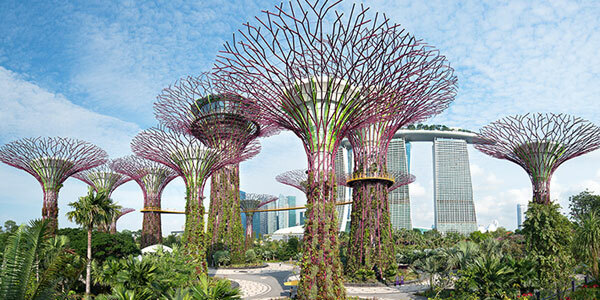 The garden has a total of 45 million flowers with re-use of waste water through drip irrigation. During the summer seasons from late May to September when the climate can get extremely hot with an average high of about 40 °C (104 °F), the garden stays closed. 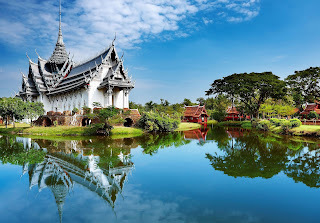 Thailand officially the Kingdom of Thailand Ratcha-anachak Thai formerly known as Siam is a country at the centre of the Indochinese peninsula in Southeast Asia. 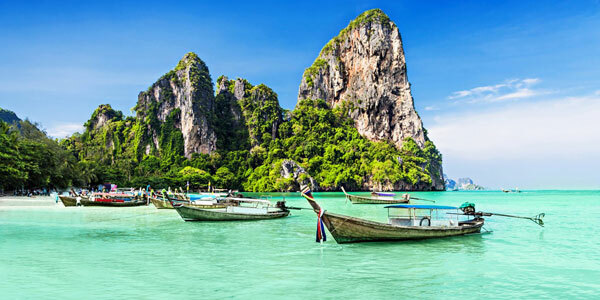 With a total area of approximately 513,000 km2 (198,000 sq mi), Thailand is the world's 51st-largest country. 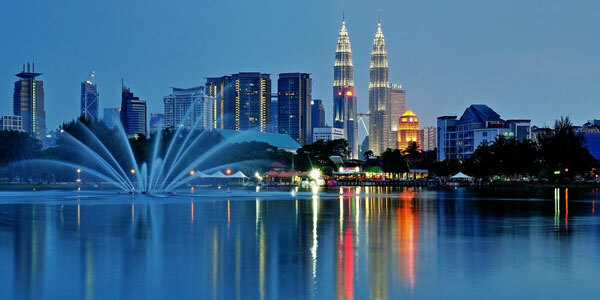 It is the 20th-most-populous country in the world, with around 66 million people. 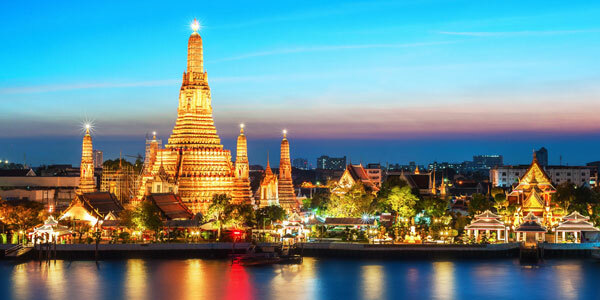 The capital and largest city is Bangkok. Thailand is a constitutional monarchy and was a parliamentary democracy until the coup in May 2014 by the National Council for Peace and Order. Its capital and most populous city is Bangkok. It is bordered to the north by Myanmar and Laos, to the east by Laos and Cambodia, to the south by the Gulf of Thailand and Malaysia, and to the west by the Andaman Sea and the southern extremity of Myanmar. Its maritime boundaries include Vietnam in the Gulf of Thailand to the southeast, and Indonesia and India on the Andaman Sea to the southwest. The elephant is Thailand's national symbol. Although there were 100,000 domesticated elephants in Thailand in 1850, the population of elephants has dropped to an estimated 2,000. 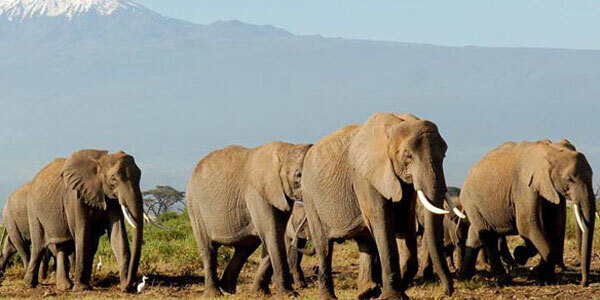 Poachers have long hunted elephants for ivory, meat and hides. Young elephants are often captured for use in tourist attractions or as work animals, although their use has declined since the government banned logging in 1989. There are now more elephants in captivity than in the wild, and environmental activists claim that elephants in captivity are often mistreated. Tourism makes up about 6% of the economy. 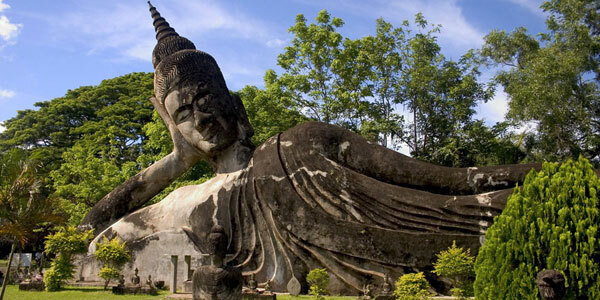 Thailand was the most visited country in Southeast Asia in 2013, according to the World Tourism Organisation. Estimates of tourism receipts directly contributing to the Thai GDP of 12 trillion baht range from 9 percent (1 trillion baht) (2013) to 16 percent. When including the indirect effects of tourism, it is said to account for 20.2 percent (2.4 trillion baht) of Thailand's GDP. 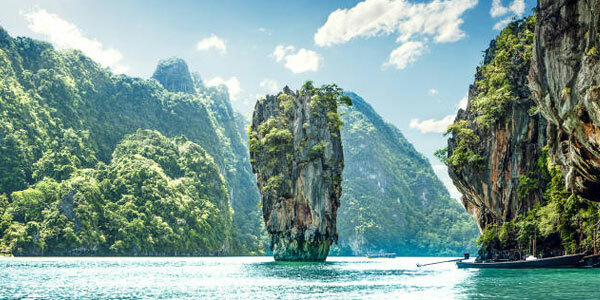 Thailand's attractions include diving sites, sandy beaches, hundreds of tropical islands, nightlife, archaeological sites, museums, hill tribes, flora and bird life, palaces, Buddhist temples and several World Heritage sites. Many tourists follow courses during their stay in Thailand. Popular are classes in Thai cooking, Buddhism and traditional Thai massage. Thai national festivals range from Thai New Year Songkran to Loy Krathong. Many localities in Thailand also have their own festivals. Among the best-known are the "Elephant Round-up" in Surin, the "Rocket Festival" in Yasothon and the "Phi Ta Khon" festival in Dan Sai. Thai cuisine has become famous worldwide with its enthusiastic use of fresh herbs and spices. South Africa, officially the Republic of South Africa (RSA), is the southernmost sovereign state in Africa. It is bounded on the south by 2,798 kilometres of coastline of Southern Africa stretching along the South Atlantic and Indian Oceans, on the north by the neighbouring countries of Namibia, Botswana and Zimbabwe, and on the east and northeast by Mozambique and Swaziland, and surrounding the kingdom of Lesotho. South Africa is the 25th-largest country in the world by land area, and with close to 53 million people, is the world's 24th-most populous nation. South Africa is a multiethnic society encompassing a wide variety of cultures, languages, and religions. Its pluralistic makeup is reflected in the constitution's recognition of 11 official languages, which is among the highest number of any country in the world. Two of these languages are of European origin: Afrikaans developed from Dutch and serves as the first language of most white and coloured South Africans; English reflects the legacy of British colonialism, and is commonly used in public and commercial life, though it is fourth-ranked as a spoken first language. The country is one of the few in Africa never to have had a coup d'état, and regular elections have been held for almost a century. However, the vast majority of black South Africans were not enfranchised until 1994. During the 20th century, the black majority sought to recover its rights from the dominant white minority, with this struggle playing a large role in the country's recent history and politics. The National Party imposed apartheid in 1948, institutionalizing previous racial segregation. After a long and sometimes violent struggle by the African National Congress and other anti-apartheid activists both inside and outside the country, discriminatory laws began to be repealed or abolished from 1990 onwards. Sri Lanka officially the Democratic Socialist Republic of Sri Lanka is an island country in South Asia near south-east India. Sri Lanka has maritime borders with India to the northwest and the Maldives to the southwest. Despite its small size Sri Lanka boasts of one of the highest rates of biological endemism in the world whether in plants or animals and is included among the top five biodiversity hotspots in the world. 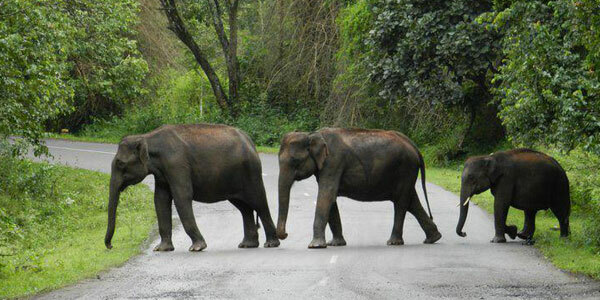 Of the ninety-one species of mammals found in Sri Lanka Asian elephants, sloth bear, leopards, sambar and wild buffaloes engages the majority of the attention of wildlife enthusiast. Yet the rarest mammals of Sri Lanka are the red slender Loris, Toque Macaque, and Purple-faced Langur, who according to IUCN clarifications are endangered due to habitat loss. Meanwhile the ocean around Sri Lanka is home to large families of cetaceans including the mighty blue whales, sperm whales and lively dolphins. Altogether 26 species of cetaceans rule the waters surrounding the country, making it one of the best locations for whale and dolphin watching. 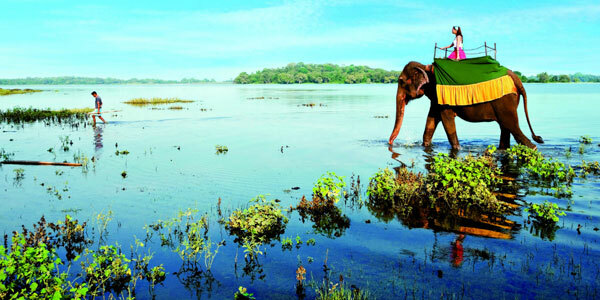 Despite the mighty elephants and rare amphibians found in the country birds are the glory of the Sri Lanka's wildlife. Boasting nearly 433 bird species of which 233 are resident Sri Lanka holds 20 endemic species while another 80 species have developed distinct Sri Lankan races, compared to their cousins in Indian mainland. Although less celebrated, Sri Lanka has one of the richest diversity of amphibians in the world, containing over 106 species of amphibians of over 90 of which are endemic. The country has long claimed to have the highest amphibian species density in the world with a high concentration in the Sinharaja rainforest. Mauritius officially the Republic of Mauritius (French: République de Maurice), is an island nation in the Indian Ocean about 2,000 kilometres (1,200 mi) off the southeast coast of the African continent. 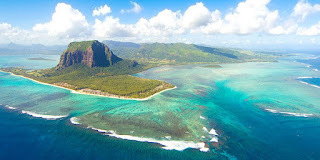 The country includes the island of Mauritius, Rodrigues 560 kilometres (350 mi) east, and the outer islands. The islands of Mauritius and Rodrigues (172 km (107 mi) southwest) form part of the Mascarene Islands, along with nearby Réunion, a French overseas department. The area of the country is 2,040 km2. The capital and largest city is Port Louis. 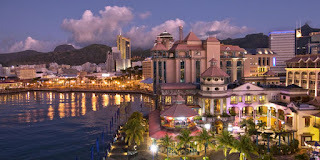 Mauritius was a British colonial possession from 1810 to 1968, the year of its independence. The government uses English as the main language. Kenya officially the Republic of Kenya, is a country in Africa and a founding member of the East African Community (EAC). Its capital and largest city is Nairobi. 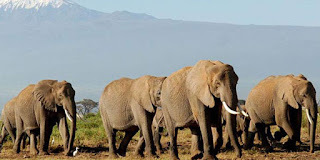 Kenya's territory lies on the equator and overlies the East African Rift covering a diverse and expansive terrain that extends roughly from Lake Victoria to Lake Turkana (formerly called Lake Rudolf) and further south-east to the Indian Ocean. 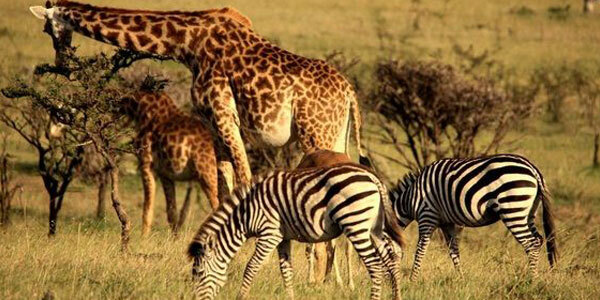 Kenya's services sector, which contributes 61% of GDP, is dominated by tourism. The tourism sector has exhibited steady growth in most years since independence and by the late 1980s had become the country's principal source of foreign exchange. Tourists, the largest number being from Germany and the United Kingdom, are attracted mainly to the coastal beaches and the game reserves, notably, the expansive East and Tsavo West National Park 20,808 square kilometres (8,034 sq mi) in the southeast. The culture of Kenya consists of multiple traditions. Kenya has no single prominent culture that identifies it. 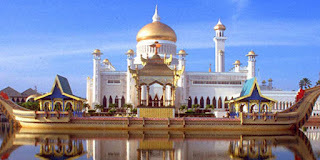 It instead consists of the various cultures of the country's different communities. Notable populations include the Swahili on the coast, several other Bantu communities in the central and western regions, and Nilotic communities in the northwest. The Maasai culture is well known to tourism, despite constituting a relatively small part of Kenya's population. They are renowned for their elaborate upper body adornment and jewellery. Europe encompasses an area of 10,180,000km² (3,930,000 square miles), stretching from Asia to the Atlantic, and from Africa to the Arctic. European countries welcome more than 480 million international visitors per year, more than half of the global market, and 7 of the 10 most visited countries are European nations. It's easy to see why - a well preserved cultural heritage, open borders and efficient infrastructure makes visiting Europe a breeze, and rarely will you have to travel more than a few hours before you can immerse yourself in a new culture, and dive into a different phrasebook. Although it is the world's smallest continent in land surface area, there are profound differences between the cultures and ways of life in its countries. 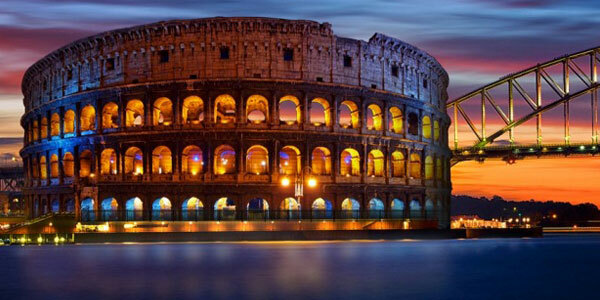 Europe as a cultural concept is substantially derived from the shared heritage of the Roman Empire and its culture. The boundaries of Europe were historically understood as those of Christendom (or more specifically Latin Christendom), as established or defended throughout the medieval and early modern history of Europe, especially against Islam, as in the Reconquista and the Ottoman wars in Europe. Malaysia is a federal constitutional monarchy located in Southeast Asia. It consists of thirteen states and three federal territories and has a total landmass of 330,803 square kilometres (127,720 sq mi) separated by the South China Sea into two similarly sized regions, Peninsular Malaysia and East Malaysia (Malaysian Borneo). 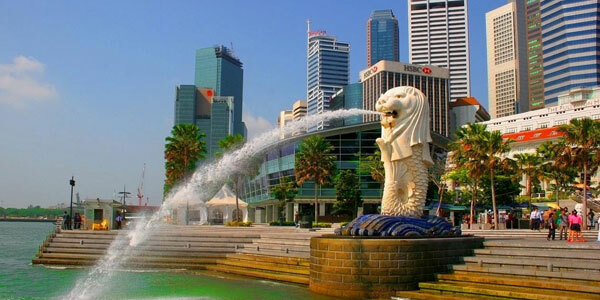 Singapore officially the Republic of Singapore, and often referred to as the Lion City, the Garden City, and the Red Dot, is a sovereign state and global city in Southeast Asia and the world's only island city-state. 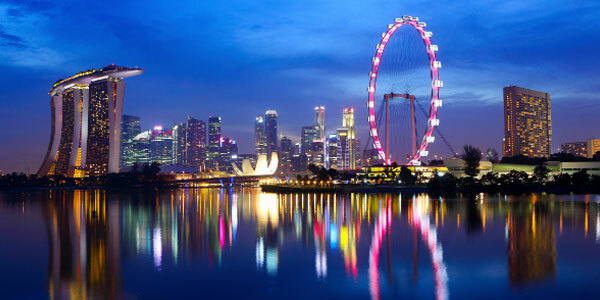 Singapore has one of the lowest rates of drug use in the world. 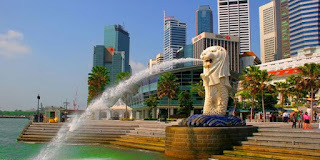 Culturally, the use of illicit drugs is viewed as highly undesirable by Singaporeans, unlike many European societies. Singaporeans' disapproval towards drug use has resulted in laws that impose the mandatory death sentence for certain serious drug trafficking offences. 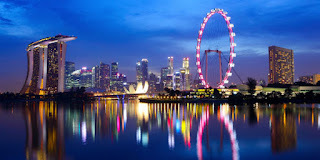 Singapore also has a low rate of alcohol consumption per capita and low levels of violent crime, and one of the lowest intentional homicide rate globally. The average alcohol consumption rate is only 2 litres annually per adult, well below the world average. Thai culture has been shaped by many influences, including Indian, Lao, Burmese, Cambodian, and Chinese. Its traditions incorporate a great deal of influence from India, China, Cambodia, and the rest of Southeast Asia. 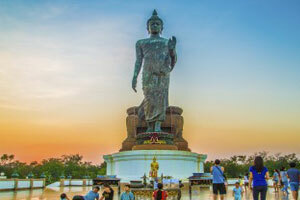 Thailand's national religion, Theravada Buddhism, is central to modern Thai identity. Thai Buddhism has evolved over time to include many regional beliefs originating from Hinduism, animism, as well as ancestor worship. The official calendar in Thailand is based on the Eastern version of the Buddhist Era (BE), which is 543 years ahead of the Gregorian (Western) calendar. Thus the year 2015 is 2558 BE in Thailand. The Maldives officially the Republic of Maldives is a South Asian island country, located in the Indian Ocean. It lies southwest of India and Sri Lanka. 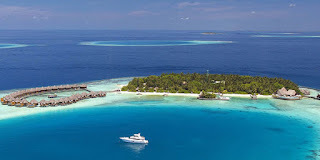 The chain of twenty six atolls stretches from Ihavandhippolhu Atoll in the north to the Addu City in the south. 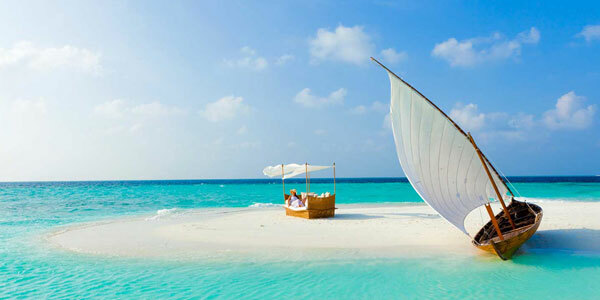 Comprising a territory spanning roughly 90,000 square kilometres (35,000 sq mi), the Maldives is one of the world's most geographically dispersed countries, as well as the smallest Asian country by both land area and population, with a little over 393,500 inhabitants. Malé is the capital and most populated city, traditionally called the "King's Island" for its central location. Since the 12th century AD there were also influences from Arabia in the language and culture of the Maldives because of the conversion to Islam and its location as a crossroads in the central Indian Ocean. This was due to the long trading history between the far east and the middle east. Somali travellers discovered the island for gold in the 13th century, before the Portuguese. Their brief stay later ended in a bloody conflict known by the Somalis as "Dagaal Diig Badaaney" in 1424. 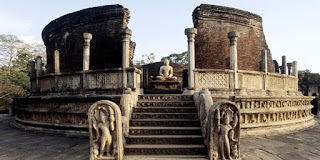 However, unlike the Sinhalese of Sri Lanka and most of the Arabs, Africans and Europeans whose influence can be seen in borrow-words, material culture, and the diversity of Maldivian phenotype, Maldivians do not have the highly embedded patriarchal codes of honour, purity, corporate marriage, and sedentary private property that are typical of places where agriculture is the key form of subsistence and social relations have been built, historically, around tribute taking. Reflective of this is the fact that the Maldives has had the highest national divorce rate in the world for many decades. This, it is hypothesised, is due to a combination of liberal Islamic rules about divorce and the relatively loose marital bonds that have been identified as common in non- and semi-sedentary peoples without a history of fully developed agrarian property and kinship relations. 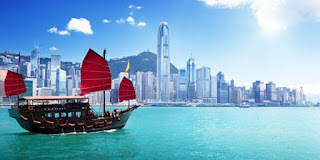 Hong Kong officially the Hong Kong Special Administrative Region of the People's Republic of China, is an autonomous territory on the Pearl River Delta in East Asia. The mainland Chinese province of Guangdong borders the territory to the north. With a total land area of 1,106 square kilometres (427 sq mi) and a population of over 7.3 million of various nationalities, it ranks as the world's fourth most densely populated sovereign state or territory. 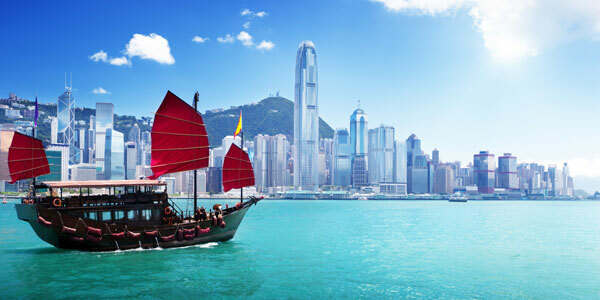 Hong Kong is frequently described as a place where "East meets West", reflecting the culture's mix of the territory's Chinese roots with influences from its time as a British colony. Concepts like feng shui are taken very seriously, with expensive construction projects often hiring expert consultants, and are often believed to make or break a business. Other objects like Ba gua mirrors are still regularly used to deflect evil spirits, and buildings often lack any floor number that has a 4 in it, due to its similarity to the word for "die" in Cantonese.The fusion of east and west also characterises Hong Kong's cuisine, where dim sum, hot pot, and fast food restaurants coexist with haute cuisine.